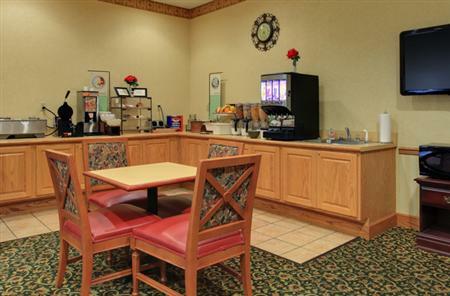 The Country Inn & Suites® by Radisson, El Dorado, AR on Highway 82 puts you within two miles of the heart of downtown. During your visit, discover how the oil boom of the 1920s placed El Dorado on the map with a trip to the Arkansas Museum of Natural Resources. Explore the bustling strip of Main Street, El Dorado’s downtown district, home to shopping, dining and more. If you’re looking for some fresh air, be sure to check out the South Arkansas Arboretum, featuring local and exotic flora only a mile away from the hotel. Ideal for romantic getaways, our Whirlpool Suite offers spacious accommodations with an in-room whirlpool for two. Start each morning off right with our free, hot breakfast. Load up on a selection of bagels, fluffy waffles, fresh fruit and more before a day of exploring downtown El Dorado. When lunch or dinnertime hunger strikes, be sure to check out JJ’s BBQ for locally beloved BBQ plates, or fayrays for seafood and Italian specials. Learn more about other nearby restaurants. South Arkansas Arboretum – The arboretum features paved walkways through lush gardens complete with exotic azaleas and camellias as well as native Arkansas flora. Enjoy a leisurely stroll or a pleasant jog through the 12-acre preserve. The Rialto – Catch amazing theatrical performances at this local gem, just two miles from the hotel. You can’t miss the eye-catching red brick architecture when you walk by. Newton House Museum – Travel just two miles from the hotel to marvel at the antique furnishings inside this house built before the Civil War. If you are visiting in May, be sure to check out the Mayhaw Festival, a street fair complete with craft vendors, local Mayhaw jelly and bluegrass music. 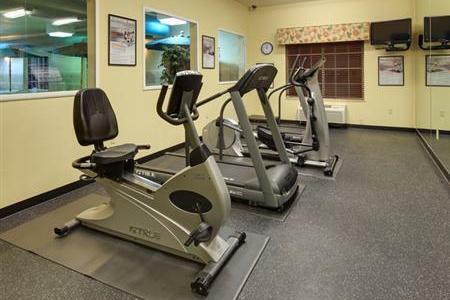 With our convenient location on Highway 82 near the heart of El Dorado, the Country Inn & Suites is the perfect space to host your upcoming corporate event or family gathering. Rent the boardroom with space for up to 12 guests or the larger meeting room for up to 60 guests. Take advantage of our additional amenities like a flat-screen TV and light refreshments to make your guests feel relaxed during breaks. 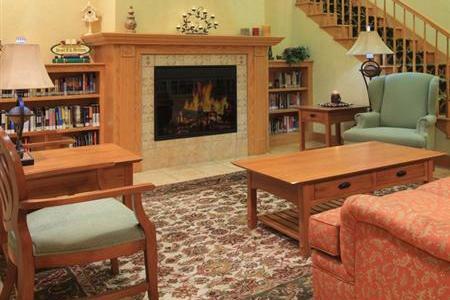 Ask about group rates and planning assistance.